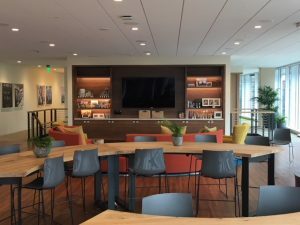 Denver: On Fortune Magazine’s 2018 list of the Best Companies to Work For, taking the number one spot was Salesforce. And this evening, you will be going out to their stunning corporate headquarters in San Francisco to hear from the staff of their sibling, Salesforce.org. We’ll begin with the CEO of Salesforce.org, Rob Acker and then hear from other members of the team. Rob: We have something that we call our V2 mom which is where we state our company’s vision and then the values. We have three values, and then we have 10 methods. The number one method that we have is what we call Ohana which is our culture. Culture is everything. It’s probably where I spend most of my time focusing on. I want to ensure that we have a highly collaborative, innovative culture and every single person in this organization has something to bring to the table, and I want to hear their voice. Mark: One of the things that I think is unique about what we’re doing is in our hiring processes. We are always talking to people about what their philanthropic mission, what they get excited about in their spare time. I always ask that question. After you look at somebody as qualified and they prequalify for the job then you get into what their passion is. It doesn’t matter whether it’s animals or whether it’s women’s rights or whether it’s curing a disease. As long as they’re passionate about something. Jamie: So, we have two onboarding sessions. The first is day one. You spend the first part of the day getting your computer and getting set up with your benefits, all that good stuff. Then you spend the afternoon volunteering. 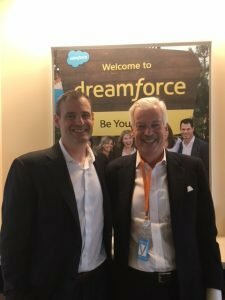 A few weeks later, you go through a more substantial program called Becoming Salesforce. That’s more focused on our culture and learning our story, and you spend that afternoon actually going out into the community and volunteering. We have five local partners in the Bay Area that we send employees out to. The food banks, St. Anthony Foundation, Golden Gate Audubon Society, and a couple of others. Employees get the opportunity to volunteer and start utilizing their seven-paid days of volunteer time off right from the get go, and it’s a really great opportunity to learn about our commitment to giving back to inspire people to get more involved and for them to get to know people that they’re now working with. Jessica: But there’s also a unique ability to use the skill set that you have for those volunteering activities. It’s often very hard to go to an organization by yourself and say, this is what I can do for you. Do you need that? But we have a platform where organizations can come to us and say I need help building an app. In fact, we had an organization in Australia that needed help building an app that helped detect autism in children earlier. It was global group that came together to do that. Daryl: His name was Desai, and his job was simply to respond to our please request for proposals, and he was given a library of questions and answers, and when a customer asks, he would simply copy and paste one over to the other. We sat down and talked to him about his work, and he did not understand what his work actually meant. I shared with him that if he can do these proposals very well and get these information back to the customer to make a decision to go with Salesforce.org, we can actually help accelerate their mission to do good or to find a cure or to feed a family, protect our homeless, and you could see a lightbulb go off in his head that he actually understood that his work does matter, and I think that’s what’s important about Salesforce.org is every one of us has a role in doing good in this world. 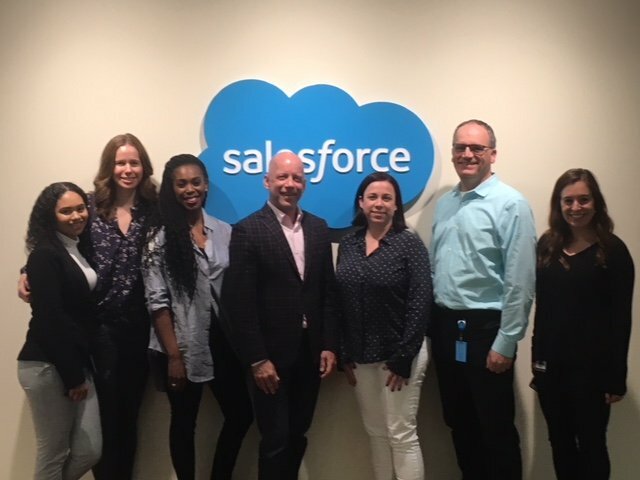 Angelica: Because of Salesforce.org and Salesforce.com allowing interns to then be converted into contractors and full-time employees, I’m now a full-time employee. But I think the wow in all of that is not only has it transformed the trajectory of my livelihood and what my career pathway could be inside the company but it also transforms the way that my son’s life will look, and I think that that’s really special. Ebony: I think I would describe our culture at Salesforce as being Ohana, and that’s the Hawaiian word for family. That is something that our leaders were intentional about from the beginning. They wanted to build a sense of a family as much as they wanted to build our product and our go-to-market strategy. This sense of family encapsulates and encompasses everything that we do at the company. It’s how I feel about my co-workers. It’s how I feel about being here. I feel a responsibility to protect the corporate culture. I feel a commitment towards my co-workers, and it makes it even more special to be here. Mark: I think one of the most important things that every employee does here is what we call V2MOM which is really the roadmap that every employee strives for every year, and it starts with the CEO driving the strategy for what Salesforce.org is going to be and drafting his V2MOM and then down from that, every other leader drafts their own V2MOM which looks at their values, their vision, their metrics that they’re going to cover that year. So, all of those things are written in there, and it’s very transparent about what everybody needs to do, wants to accomplish for the year, and it really is the north star for everybody to follow, and it sort of cascades on down. Jamie: As you walk into our building, as you did today, you see a lot of giant characters, lots of colors, big screens, maybe some music playing in the background. It really to me identifies that we have – a strong culture of having fun and also a very strong brand. 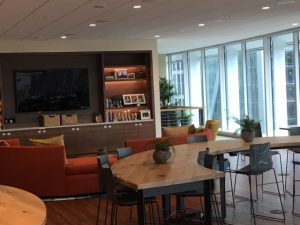 The Trailhead brand is very apparent throughout all of the offices that would go throughout the world at Salesforce. If you walked into the office in Italy or in Australia, you would get the same vibe, and fun is a really core part of our culture here but it also something that’s evident throughout our products as well. 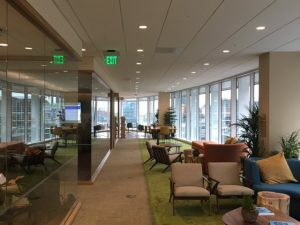 Jessica: I’ll never forget the first time they had a Solution Engineer come to me and say, do you think I might one day be able to write a blog post. And I was like, why can’t you do that today? They were just so taken back. What do you mean I could do that today? Of course, you can do that. You’ve got a great idea, and that request for a single blog post turned into a 15-part series that to this day is still one of the most read post we’ve ever had. That was letting him feel really empowered that he can create this space for him to be more creative but also giving back to the community at large and sharing his knowledge not just with the organizations that he works with but with the larger, much broader audience. Daryl: And when you realize that we are 100% self-funded, that means in addition to our hiring or growth, our new products, our amazing events, we’re still able to give back an enormous amount of that money and let our employees really embrace who they are in the causes they are most passionate about. I think that’s really exciting. When we realize the work we do here actually affects everyone in the company but not everyone realizes that it’s through our own efforts here. It’s not through stock. It’s not through Salesforce proper. It’s really through our grit and our hard work that we do every day. Angelica: Because I think Ohana groups are another way that we are able to maintain transparency within the company. Ohana groups are basically under-represented groups inside of the company that comes together collectively to talk about different concerns or causes that they care about. And each Ohana group is given an executive sponsor to champion those causes or concerns that they have and uplift them to leadership. I think another thing that’s great about Ohana groups is we do encourage ally ship which is essentially other employees that may not directly identify with those groups but coming together to understand or speak on their behalf. Ebony: When I think about our mindfulness practices, the transparency and our leadership, our leadership meetings are broadcast to all of our employees. Everyone is encouraged and welcome to give feedback. We are good neighbors and good hosts. We invite our partners and our community to come in. it’s more than just a marketing campaign. It is really who we are and what we do at our core. It’s not just perks that are offered to our employees. We open up our spaces. We open up our hearts. We open up our technical abilities. We open up our product. We open that out for everyone, and I think that’s what makes us special and unique. Mark: And when I look at the types of employees we’re trying to attract and retain, professionals in the technology area and the sales area, it’s a tough group to try and attract and to try and retain, and we’ve done a great job at doing that. Some of what we have is the secret sauce and what brings us over here is all the things you’ve heard about but also we have amazing technology. 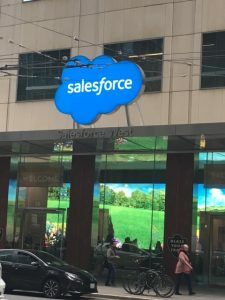 We have the Salesforce technology. They’ve gifted us this technology, and when you sort of talk to particularly the millennial generation about what they’re looking for, one of the things they really want to work for is meaningful projects which obviously we have and what we do but also work with great technology. So, we’ve got that together which is really really an attractive piece for people to want to come over and do that. Ebony: That was, we were converting Angelica from being a Year Up intern to a contractor to now a full-time employee, and she had worked really hard over the last two years to accomplish that goal. What we wanted to do to celebrate and honor was to invite her to our leadership meeting that takes place in Hawaii. So, we were able to not only bring Angelica but we were also able to bring her son, Isaiah to Hawaii and what was special about the occasion was that we announced Angelica’s day one, her first day as a Salesforce employee in front of our entire leadership team, Mark with a lei over her and welcomed her into the Ohana. There was not a dry eye in the house. It was probably one of the most special moments of my career. 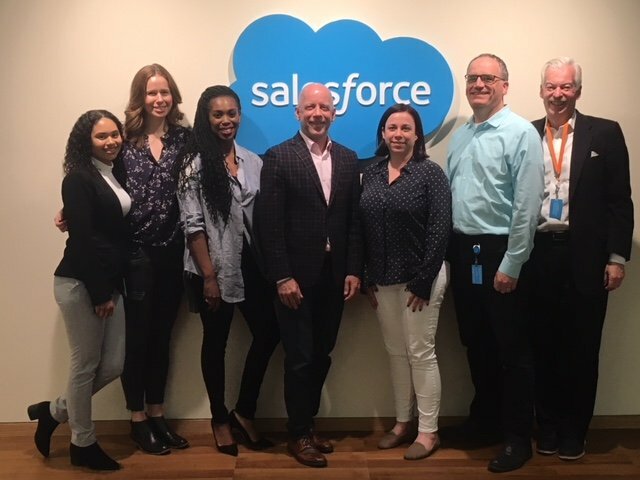 Denver: I want to thank Cheyenne King for organizing my visit and to all those who participated, Mark Gundacker, Jamie Olsen, Jessica Hood, Daryl Spreitzer, Angelica Pineda and Ebony Frelix. To hear this again, read the transcript or see pictures of the participants and the offices of Salesforce, just come to www.denver-frederick.com and ’ll be there, waiting for you.